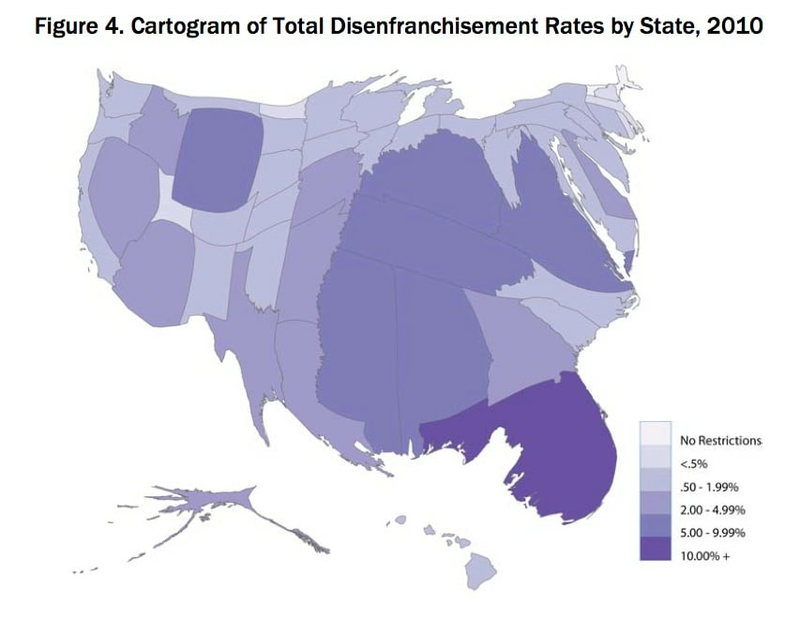 Cartogram of disenfranchisement rates, 2010. (Sentencing Project) In Florida, more than one in five black adults can’t vote. Not because they lack citizenship or haven’t registered, but because they have, at some point, been convicted of a felony. More than 20 percent of black adults have lost their right to vote in Florida, Kentucky and Virginia, according to the Sentencing Project, a group that advocates for reforms to sentencing policy that reduces racial disparities.